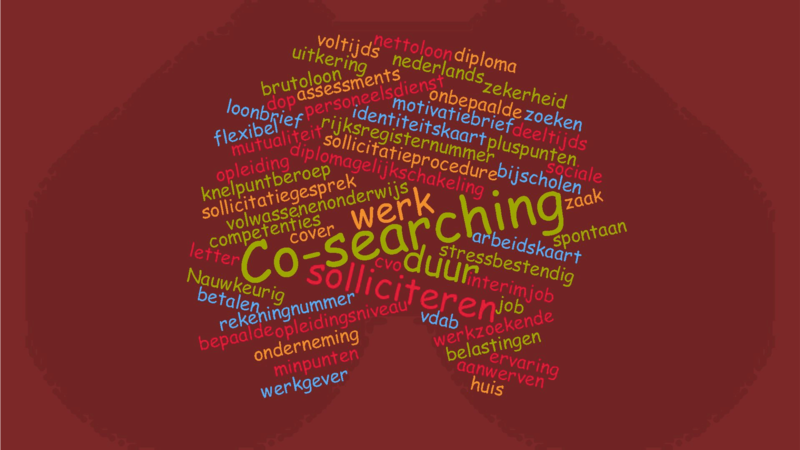 Co-Searching is a Flemish project that began as an idea of five young people who wanted to find an answer to the frustration that so many jobseekers deal with: searching for a job alone at home and not making any progress. They thought “Well, if people do sports together, why can’t we search for a job together?” And so it began. The initiative has local chapters in several Flemish towns, including Ghent. There is no membership, but rather weekly workshops for anyone who wants to join in. All the workshops are free of charge, and the project has the support of the city of Ghent. Jan Verdee, community manager in Ghent, found himself jobless once he’d finished his degree in history. After a frustrating job search he started working on bringing diversity to companies and advising employers about hiring people. He was one of the founding members of Co-Searching, and draws on his job-searching experience and his work in helping companies. “The idea is to learn from each other. If you’ve been to several job interviews or you’ve worked in a certain sector, you have valuable experience. So Co-Searching is about sharing that knowledge and motivating each other in this sometimes difficult situation,” he explains. But it’s not all about sitting together and chatting about your job searching experience. During the workshops, candidates work on their job-hunting skills. They tackle preparing for the interview, cold calling, how to find your strengths, writing cover letters … all essential skills needed to land that dream job. The workshops themselves are run by experienced volunteers, but often experts from the Flemish employment agency VDAB and other organisations are invited to give practical advice. 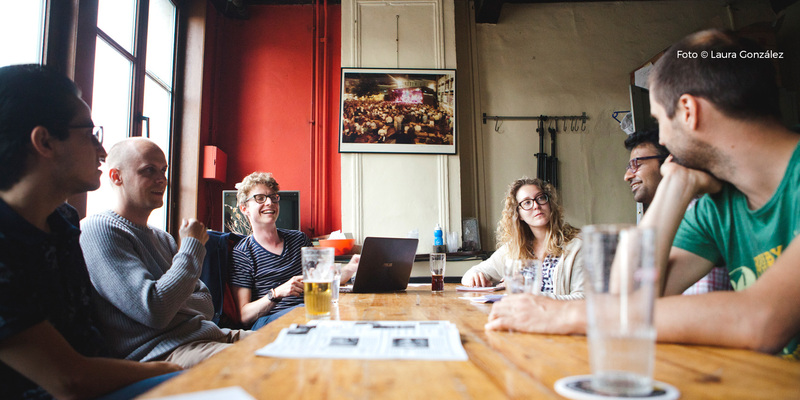 In Leuven and Antwerp they also organise co-working cafes where the job seekers sit together for 3 hours and work on their job applications individually. Because there’s nothing better than some peer pressure to finally get started on that motivation letter or brush up on your CV. These first events in English are as much about Co-Searching organisers learning about the needs of the foreigners as about expats finally sitting face to face with people who might have the answers to some difficult questions. In future, the workshops in English will focus on specific skill sets as well. And what are the main challenges of expats looking for a job in Ghent? The language, of course, but also finding employers who are willing to accept that moderate command of the local language doesn’t mean we don’t have important skills and knowledge that we can bring to the company. The infamous Belgian bureaucracy is a common complaint – many candidates are still waiting for their papers from the city hall, while their would-be employers are getting impatient. Or employers who get scared off at the prospect of having to deal with work permit requests for a new recruit. But mostly, our problem is the problem of all newcomers: where to find all the information and networks relevant to our jobs. So are there any possibilities open to us until we master Dutch and are in full possession of all the relevant papers? Yes, we can always turn to VDAB and the trade unions for advice if we are in doubt about our rights and opportunities. And of course, Co-Searching workshops are open to everyone. Additionally, anyone registered with VDAB as a job seeker can take part in the agency’s training sessions. However, you will need your Belgian ID card and have a decent level of Dutch for those. On the other hand, volunteer work might be possible even without the relevant papers. This can give you some confidence in working in a foreign language and a chance to meet new people. Knowing more people will help you get that all important information about the local scene. And there is no reason why volunteer work could not be a valuable work experience. Once you get your papers and have some knowledge of Dutch, you can also take part in VDAB’s specialist language courses aimed at different sectors. However, you will need to be able to have completed at least four levels of Dutch courses. But the power of co-searching lies in the exchange of information between participants themselves, and expats are no exception: information on relevant Facebook groups is shared, and useful advice regarding difficult interview questions provided. It is empowering to know that even in our difficult situation we can still help others with our knowledge.